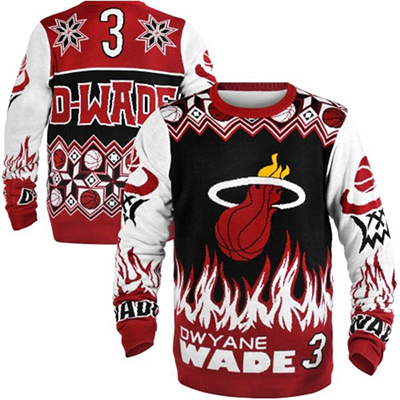 Remember when there was a hipster irony attached to the ugly sweater? Christmas parties had contests to see what kind of horrible relic a run to the local thrift store could turn up. With a surge in popularity, the irony behind holiday ugly sweaters might be gone but the fun and the ugly are still there. 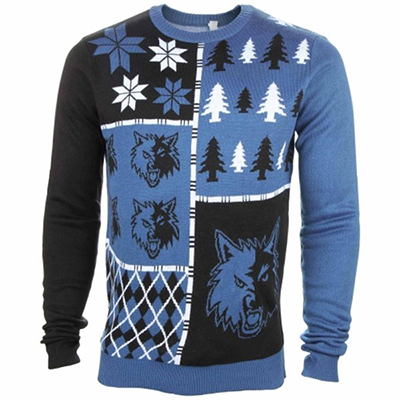 This includes a growing number of sports ugly sweaters. 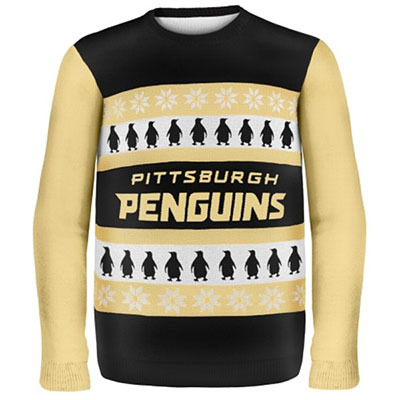 MLB, NBA, NFL, NHL and NCAA teams all have loud and proud ugly sweaters. From candy canes to Christmas trees to adorable penguins, they come in a few different styles. However, all are definitely out there. 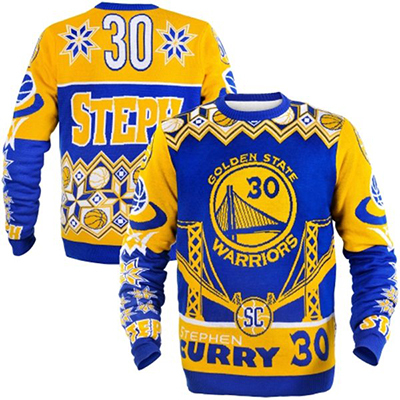 The majority of sports ugly sweaters are team-specific. However some players have also been immortalized in a way they probably never imagined. And while all are ugly, some standout like Clark Griswold's lit up roof on a cool and clear December night. 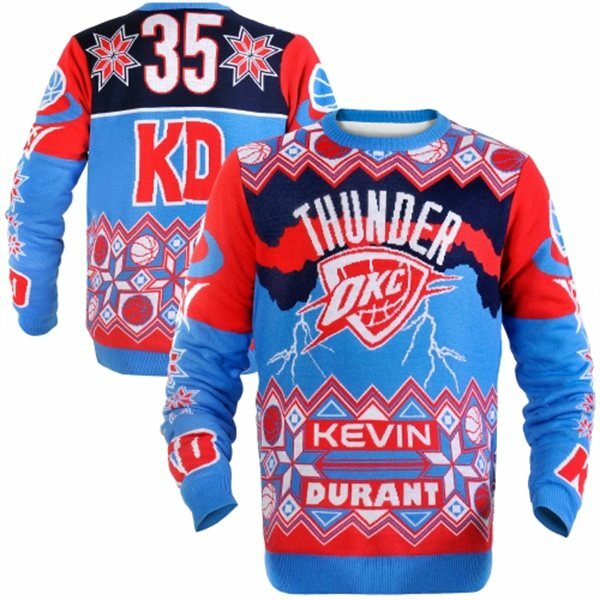 So if you're looking to be a contender in the office sweater competition or need the perfect shot for a personalized holiday trading card from Rookies App, here are ten gawk-worthy sports ugly sweaters. And by ugly, we mean awesome -- usually. When most of us think ugly sweater, we think cuddly. We think apple cider. We think how your great uncle smells like a strange mix of moth balls and rum. The Timberwolves logo doesn't lend itself to cuddly. So if you want to embrace the holiday spirit at the office -- alone and in the corner -- this one might help the cause. The shot of driving in LA under rows of palm trees is iconic. It's in almost every movie and TV show set in the area where there's a scene set in a car. 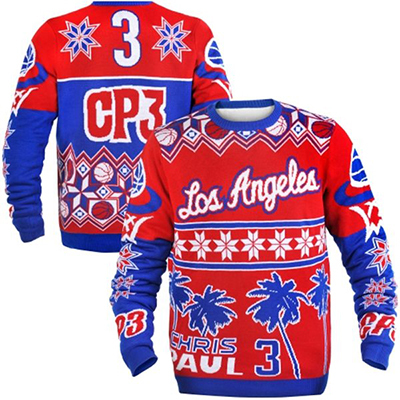 And while all ugly sweaters can be seen as odd, there's something especially odd about those palm trees adorning the front of one. It's hot! White hot! Literally. Those flames. Those sleeves. In the land of hot messes, D-Wade's is among the messiest. Change the sleeves to leather and make a couple of adjustments and you've got the most epic varsity-style jacket ever. So many lines. Is it possible to actually focus one's eyes on this sweater? 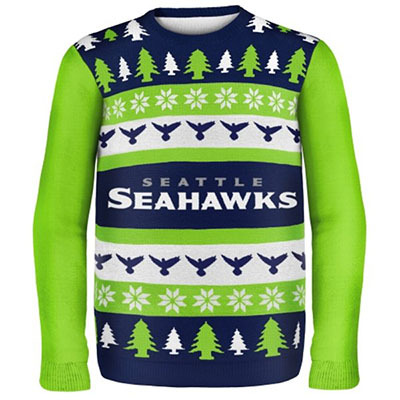 Outside of the team's 12, the Seahawks color choices aren't the most fashion-friendly in the NFL. What makes this sweater standout among the already-loud fashion category is the sleeves. And now that you've seen it, go ahead and try to get the picture out of your head the next time you hear Greensleeves play when you're shopping for cranberry sauce at the grocery store. Want to bring some of that hipster irony back to the ugly sweater? 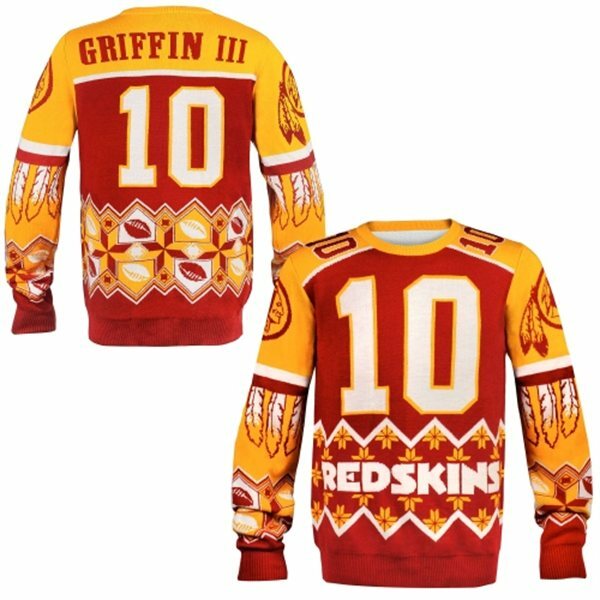 Wear an RG3 ugly sweater with pride this Christmas. Forget the hats and t-shirts. 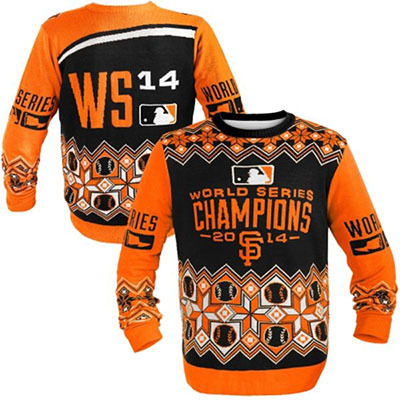 Real Giants fans are commemorating their dynasty with this bad boy. Or maybe it's Dodgers fans wearing them wanting to troll the world by poking fun at the fashion sense of their World Series-winning rivals. Thunder and lightning will never be quite the same again. 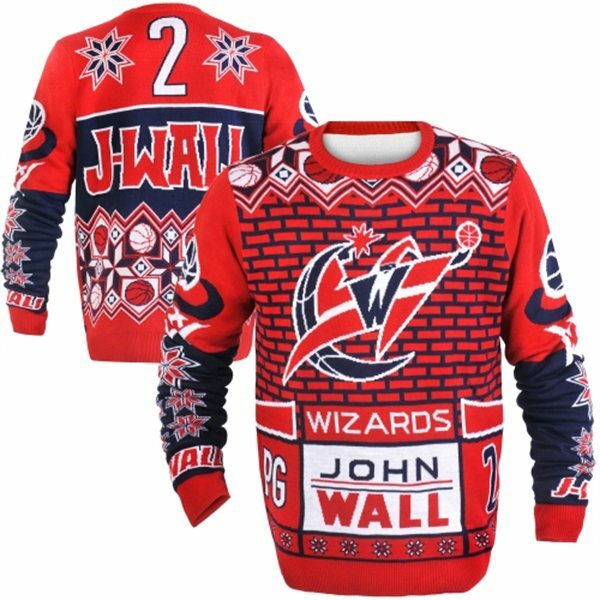 Yes, this ugly sweater takes John Wall's name literally. The wild wizard wasn't enough. They added a wall!